Ferne Also Works With Children Through Play And Sand Therapy. Send A Message To Ferne. Ferne is a compassionate professionally trained counsellor who understands how life can be a struggle. She believes all people can grow, heal and move through challenges they encounter. She has worked with many diverse life situations and understands how difficult it is to ask for support. Ferne has 14 years experience in mental health and has worked with couples, veterans, children and individuals. She enjoys meeting and helping people to increase their self-reflection about their life and current situation. Ferne is trained in many different clinical approaches and has helped many individuals to realize their potential. She is an empathic therapist who is passionate about working with people. Ferne has worked with diverse needs such as depression, anxiety, attention deficit disorder, early psychosis, suicidal thoughts, select mutism, attachment difficulties, personality disorders and obsessive compulsive disorder. She has many years experience working with children through play therapy to overcome emotional experiences such as divorce, separation and grief in their lives. Ferne obtained her Masters of Social Work at the University of British Columbia in 2006. Ferne has also experience in supervision for new therapists who want to have support while in their private practices. 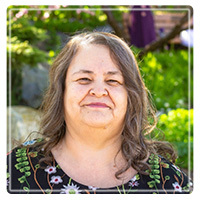 She has also worked with distinct populations such as foster and adoptive parents, First Nations, Metis, LGBTQ clients and families in crisis. Ferne has passion for working with couples to overcome challenges such as communication skills, financial issues, parenting and difficult topics such as infidelity. She is also passionate about working with veterans to adjust to their their current living situations and to support them in overcoming issues such as depression. She allows the counselling process time to unfold and develop into a trusting relationship. She provides a safe supportive environment that is comfortable and warm. She believes people benefit from telling their stories and being validated. Ferne is always open to seeing new clients and welcomes hearing from them. She charges $120-140 per session.